We kick off the third day of the 2016 Coffee Spot Awards with the shortlist for the “Coffee Spot with the Best Outdoor Seating” Award, celebrating all those wonderful Coffee Spots with excellent outdoor seating. 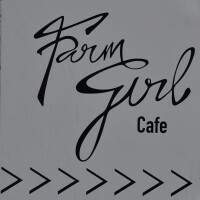 This was won last year by Farm Girl Café. Café Grumpy in Chelsea (New York City, not London) has a lovely outdoor seating area in the garden at the back of the store, although it was closed for the winter while I was. Café Grumpy is also shortlised for the Best Overseas Coffee Spot Award. 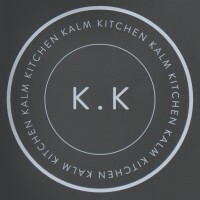 Kalm Kitchen Café in my home town of Guildford, has an excellent, sheltered terrace at the back of the café, while if you fancy catching the sun, then there are more tables at the top of the terrace in a pedestrianised area just off the street. You have to go inside to order, but everything gets brought out to you. I do recommend leaving someone to guard the table though: they’re in high demand! Bloomsbury’s Expresso Base is in the churchyard of St George’s Church. Other than a Gazebo at the back sheltering the espresso machine, everything is outdoors, although large umbrellas provide some protection from the elements. It’s a beautifully-secluded spot though, set back from the street and with tall buildings on three sides. Expresso Base is also shortlisted for the Best Espresso Award. 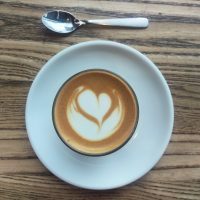 When I first visited Philadelphia‘s Ox Coffee, it just occupied a simple, small room. Since then it’s added a back room and, even better, a wonderfully secluded garden at the back of the store. It was a bit chilly when I visited back in February, but come the warmer months, I can see it being an instant hit. Surrounded by quiet, residential buildings, it’s a well-sheltered spot. Cardiff‘s Uncommon Ground Coffee Roastery makes its home in the fantastic Royal Arcade, which provides the backdrop for the line of tables. Technically, therefore, this isn’t outdoor seating, since it’s inside the arcade. However, it’s outside the coffee shop, so that’s close enough for me (there are times I wish I’d called this the “Best External Seating” Award). 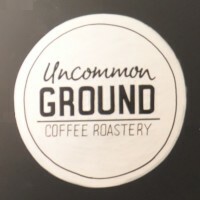 Uncommon Ground is also shortlisted for the Best Lighting Award. 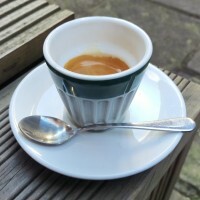 Bristol‘s Tradewind Espresso is another with a lovely seating area at the back of the store, although this is less of a garden than the others on the shortlist. However, it too is a wonderfully sheltered, secluded spot which also provides some protection from the elements. You can also sit out front on a bench, but the traffic on Whiteladies Road make this a less appealing option. 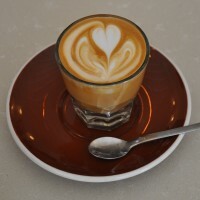 Tradewind Espresso is also shortlisted for the Most Popular Coffee Spot Award. Tandem Coffee + Bakery is the second Tandem Coffee outlet in Portland (Maine) after the coffee bar at the roastery. It occupies an old gas (petrol) station and makes good use of the setting. At the front of the store, sheltered under the concrete awning which vaults from the roof of the building, are some picnic tables, taking the spot where the petrol (gas) pumps used to be. Not only does this provide shade and shelter from the rain, but since it’s well set-back from the road, it’s fairly quiet too. 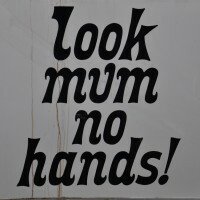 Each year the Look Mum No Hands! 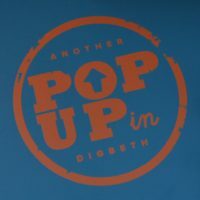 Pop-up seems to return to its home under Hungerford Bridge on London’s South Bank bigger and better than before. This year was no exception and it saw an increased seating area, complete with tables and banked rows of stadium seating, all under the shelter of the bridge. Look Mum No Hands! is also shortlisted for the Best Takeaway Coffee Award. Coleman Coffee Roasters, on Lower Marsh behind London’s Waterloo Station. It has an amazing, secluded garden at the back, surrounded by high walls and home to several wonderful bushes/trees. 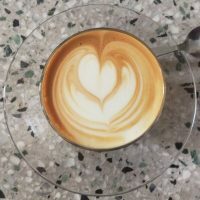 Coleman Coffee Roasters is also shortlisted for the Best Coffee Spot near a Railway Station, Best Espresso and Most Passionate About Coffee Awards. 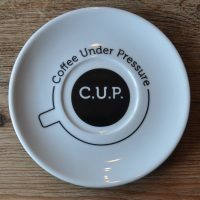 Reading’s Coffee Under Pressure (or C.U.P.) is hidden away to the north of Reading Minister. A wonderfully secluded spot, the tables at the front of the shop catch the sun pretty much all day long. Set away from the road, there’s no worry about traffic noise and the backdrop of the Minster just makes everything better. Coffee Under Pressure is also shortlisted for the Happiest Staff Award. Located in one of the inner courtyards of Birmingham‘s Custard Factory, Another Pop Up in Digbeth has plenty of tables out front, all of which have a poolside view across the courtyard. It’s a peaceful spot, although sadly there’s no shelter from the rain. However, as a place to escape the office for your morning coffee or to grab a moment to have your lunch, it can’t be beaten. Copenhagen’s Coffee Collective brings speciality coffee to the mainstream in the Torvehallerne food hall in the centre of the city. You have all of Torvehallerne’s extensive outside seating at your disposal, including the tables immediately in front of the Coffee Collective. 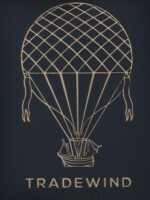 Coffee Collective is also shortlisted for the Most Unlikely Place to Find a Coffee Spot Award. Gennaro, owner of Expresso Base, has dedicated this award to his former business partner, Vittorio Caberlotto, who created the garden and the seats at Expresso Base and who sadly passed away last year.